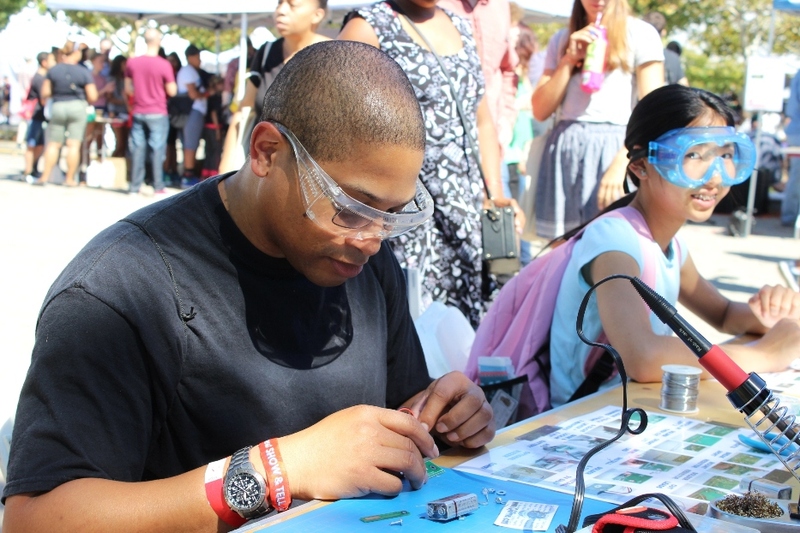 The Garden School, K2GSG, and Hall of Science Amateur Radio clubs (ARC) in New York City will join forces this month to put Amateur Radio on display during the 9th annual World Maker Faire NYC at the New York Hall of Science in Corona, Queens, September 22 - 23. Last year's World Maker Faire NYC drew some 90,000 attendees. The Garden School's ham radio club advisor and science teacher John Hale, KD2LPM, said participating youngsters will introduce Amateur Radio and help attendees construct small, electronic "Maker Key" Morse code oscillators. The project helped Garden School win a blue ribbon at last year's Maker Faire. Something new this year: visiting radio amateurs can build a tape-measure Yagi antenna for satellite or terrestrial use. In cooperation with the Hall of Science ARC, amateurs will attempt to make satellite contacts with the anntennas as a demonstration, Hale said. The Hall of Science will host a working HF radio demonstration called "When Disaster Strikes, Amateur Radio is Ready." Radio amateurs will be on hand to operate the radios and encourage those attending the Faire to attempt to make contacts. Visitors to the 2017 World Maker Faire construct a code practice oscillator kit. Established in 2016, the Garden School ARC is an integral part of the school's curriculum for educating students in STEM (science, technology, engineering, and math) disciplines. The Garden School ARC students are mentored by the co-exhibiting Hall of Science Amateur Radio Club (WB2JSM/WB2ZZO). Both are ARRL-affiliated clubs. ARRL Marketing Manager Bob Inderbitzen, NQ1R, believes that Maker Faire events offer excellent opportunities to give greater exposure to Amateur Radio. "Exhibiting at a Maker Faire is a great way for radio club members to share their enthusiasm for ham radio with the public," he said. Inderbitzen often gives tips to ham radio groups considering a Maker Faire exhibit. "Your exhibit should represent radio communication as innovative, hands-on, and cool," he advised. "Not everyone will want to become a ham, but have radio club, class, and licensing information on hand for Faire attendees who seem especially interested." While the Hurricane Watch Net (HWN) on September 5 formally secured operations initiated ahead of Tropical Storm Gordon, which had been forecast to become a Category 1 hurricane, the HWN is keeping close watch on Hurricane Florence, currently a Category 3 storm still out in the Atlantic. "Computer models are all over the place, but the people of Bermuda should closely monitor the progress of Florence," HWN Manager Bobby Graves, KB5HAV, told ARRL. "Since 2014, the island has been hit by four storms." Graves said the net could soon find itself tracking Helene (now called Invest 92L) and a developing system that could become Isaac. "Bottom line, September is gearing up to be an active month. I'm just praying these storms remain away from land," Graves said. 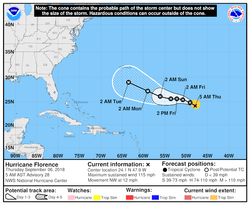 As of mid-week, Hurricane Florence was some 1,060 miles east-northeast of the northern Leeward Islands, and about 1,170 miles east-southeast of Bermuda, with maximum sustained winds of 115 MPH. The storm was moving to the northwest at 12 MPH. The National Hurricane Center predicted Florence would turn back toward the northwest early next week. Although it weakened somewhat this week, the storm was predicted to remain a strong hurricane into next week. The HWN had activated on September 4, while Gordon was still a tropical storm. "The net rarely activates for tropical storms, unless they are forecast to become hurricanes prior to landfall or at the request of the forecasters at the National Hurricane Center," Graves explained. Gordon had been forecast to become a Category 1 hurricane prior to landfall. Some Gulf Coast ARES teams activated briefly prior to Gordon's landfall on the Gulf Coast on the evening of September 4 near the Mississippi-Alabama state line. A child was reported to have died as a result of the storm, which is generating flood-causing rainfall as it progresses into Mississippi. The storm also knocked out power for tens of thousands in the region. "The 2018 Atlantic Basin hurricane season is still young, so please, do not drop your guard," Graves advised. "If you haven't done so already, now would be a good time to review your Family Emergency Plan and your Emergency Supply Checklist. We have links to download both, found in the middle of our website homepage." The Royal Observatory of Belgium's Solar-Terrestrial Centre of Excellence (STCE) has asserted that the reverse-polarity sunspot group 2720 observed in late August belongs to the current solar cycle -- cycle 24 -- and does not represent the start of cycle 25. "Because of its reversed polarity, some websites claimed sunspot group 2720 was possibly one of the first groups of new Solar Cycle 25," the Centre said. "This is simply not true, in view of its very low 8° latitude. The next Solar Cycle 25 sunspot group should have both reversed magnetic polarity and much higher heliographic latitude, typically 20° to 40° from the equator. Only two tiny, short-lived numbered sunspot groups are currently assigned to new Solar Cycle 25, sunspot group 2620 in December 2016 and 2694 in January 2018." STCE said that while both of those small sunspots have been assigned to cycle 25, some uncertainty exists as to just which sunspot cycle they actually belong to. STCE said some additional sunspot groups that belong to cycle 25 were so tiny and short-lived that they were not assigned a sunspot number. 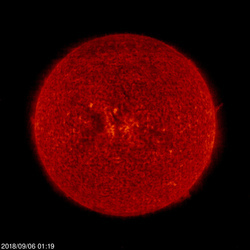 "During each solar cycle, about 3% of all active regions have reversed polarity but do not belong to the previous or next solar cycle," the Centre said. "With 2,000 to 3,000 sunspot groups per solar cycle, this means that every solar cycle has a few dozen reverse-polarity sunspots that belong to the ongoing sunspot cycle despite their reverse polarity." After examining magnetograms of the sun's surface, well-known Amateur Radio solar observer and propagation authority Carl Luetzelschwab, K9LA, agreed that AR2720 is reversed in polarity from other sunspots in the northern solar hemisphere. What confuses the issue, he said, is its low latitude, as a cycle 25 sunspot area should be at a much higher latitude. The same weekend of sunspot group 2720, a radio blackout lasting about a day took place, affecting the HF amateur bands as well as GPS systems. Solar watcher Tamitha Skov, in her YouTube report, called the G3-level geomagnetic storm "one of the top five storms of the solar cycle." Read more. "Antennas and Wind" is the topic of the latest (August 30) episode of the "ARRL The Doctor is In" podcast. Listen...and learn! Just ahead: "Tools for the Amateur Station." Some earthbound radio amateurs and sky watchers have received images from a tiny Chinese satellite now orbiting the moon. In May, China launched the DSLWP-A and DSLWP-B microsatellites -- also known as Longjiang-1 and Longjiang-2 -- into a lunar transfer orbit, although Longjiang-1 was apparently lost in the process and likely remains in deep Earth orbit. They were deployed as secondary payloads with the Queqiao relay satellite as part of the Chang'e 4 mission to the far side of the moon. DSLWP stands for "Discovering the Sky at Longest Wavelengths Pathfinder." 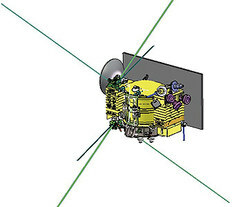 The satellite will test low-frequency radio astronomy and space-based interferometry, and while it carries Amateur Radio and educational payloads, no transponder is aboard. The Chang'e 4 mission will be the first-ever attempt at a soft landing on the far side of the moon. The Chang'e-4 lander and rover are scheduled to launch in December. The Harbin Institute of Technology (BY2HIT) developed and built the DSLWP spacecraft and is overseeing that mission. The microsat also carries optical cameras from Saudi Arabia. An open telecommand protocol allows radio amateurs to take and download images. The spacecraft transmits on 70 centimeters (435.400/436.400 MHz), with 250/500 bps GMSK using 10 kHz wide FM single-channel data, with concatenated codes or JT4G. JT4 uses four-tone FSK, with a keying rate of 4.375 baud; the JT4G sub-mode uses 315 Hz tone spacing and 1,260 Hz total bandwidth. According to an article in GBTimes, Longjiang-2 (DSLWP-B) used its own propulsion system to slow down and enter lunar orbit, while the relay satellite "continued past the moon to its special destination." Longjiang-2 has used a student-developed camera to take images of the moon, Mars, the sun, and other celestial objects. Data and images have been downloaded by hams and satellite-tracking enthusiasts around the world, including the US, Brazil, China, the Netherlands, and Italy. The Harbin Institute of Technology team also operates LilacSat-1, a 2U Amateur Radio CubeSat launched as part of the European QB50 initiative, and LilacSat-2 (CAS-3H), an Amateur Radio and technology test satellite. The Queqiao communications relay satellite is required for the lunar far-side landing to facilitate communication with a not-yet-launched lander and rover because the moon's far side never faces Earth, and some significant scientific measurements from the dark side of the moon require real-time contact with Earth. Queqiao was developed by the China Academy of Space Technology (CAST). The Harbin Institute of Technology Amateur Radio Club has invited more radio amateurs to get involved with the DSLWP mission, and QSL cards have been designed for different flight phases for amateurs who successfully receive telemetry or make contact. 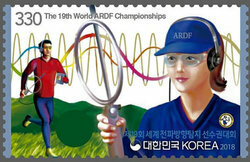 Korea Post has issued a postage stamp in recognition of the 19th Amateur Radio Direction Finding (ARDF) World Championships, which wrap up on September 8 in Sokcho City, Gangwon Province, Korea. The Korean Amateur Radio League (KARL) is hosting the event. Representatives of at least 30 countries, including the US, are participating in formal ARDF competitions on 2 meters and 80 meters, plus sprints and foxoring, in which the US won its first medal of the year. Ruth Bromer, WB4QZG, captured third place in the W60 category. Each country may have up to three persons per age/gender category on its team, in accordance with International Amateur Radio Union (IARU) ARDF rules. Nine men and three women have been preparing to represent the US in Korea. "I issued invitations to 30 persons to compete for the US, based on their finishes in the 18th USA ARDF Championships in June and in the 17th USA ARDF Championships last August," said ARRL/USA ARDF Coordinator Joe Moell, K0OV. "Because of health issues, economic considerations, and activity conflicts, only 12 were able to accept." Moell said Team USA members range in age from 29 to 76 and are paying their own way to attend the event. Ruth Bromer, WB4QZG, competes in a Classic ARDF event. She took the bronze medal in foxoring in the W60 class. ARDF World Championships take place every 2 years, as hams from around the world compete to determine who is best at on-foot hidden transmitter hunting. The US has been represented at every ARDF World Championship since 1988. Sokcho is located along the coast near the northeast corner in the Gangwon-do province of South Korea. This marks the second time that ARDF Team USA has competed in Korea. In 2008, Korea hosted the World Championships near Hwaseong. The US has earned at least one medal in every World Championship since 2006. Visit Moell's "Homing In" website for more information about Amateur Radio direction finding. The 19th annual Route 66 On the Air special event, celebrating the storied highway between the west coast and the US heartland, gets under way on September 8 and continues until September 16. The Citrus Belt Amateur Radio Club (CBARC) of San Bernardino, California, sponsors the event, which will feature 21 stations -- including two rovers -- operating from sites along or near the path of US Route 66. Sporting W6-prefix 2 × 1 call signs, the stations will be active on CW, SSB, and digital modes, as well as some VHF and UHF repeater operation. Through story, song, film, and television, the highway -- also known as "The Will Rogers Highway" and "The Mother Road" -- came to symbolize the spirit of the freedom of the open road, inspiring many to see America. Stretching nearly 2,500 miles from California to eastern Illinois, US Route 66 was established in the mid-1920s. After it had been replaced piecemeal by the Interstate Highway System, it was formally removed from the US Highway System in 1985, although segments of the highway now have been designated a National Scenic Byway -- Historic Route 66. 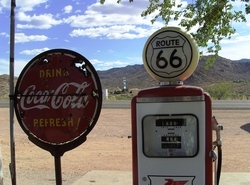 The US National Park Service says Route 66 "holds a special place in American consciousness and evokes images of simpler times, mom-and-pop businesses, and the icons of a mobile nation on the road." NPS includes the roadway in its "Discover Our Shared Heritage Travel Itinerary." Started by the Northern Arizona DX Association, the US Route 66 Special Event offered a way for radio amateurs to "relive the ride," CBARC said on its website. CBARC assumed sponsorship of the event a couple years after the inaugural running, and it has become a staple of the September special event schedule. Several Amateur Radio clubs will participate in making the event a reality by sponsoring stations set up along the original US Route 66 or in cities nearby. Listen for W6A - W6U during the event period. CW operation will center on or near 3.533, 7.033, 10.110, 14.033, 18.080, 21.033, 24.900, 28.033, and 50.033 MHz. SSB operation will focus on or around 3.866, 7.266, 14.266, 18.164, 21.366, 24.966, 28.466, and 50.166 MHz. For digital modes, look for Route 66 stations around 3.580, 7.070, 10.140, 14.070, 18.100, 21.070, 24.920, and 28.120 MHz. Commemorative QSL cards and certificates will be available. This week, AMSAT News Service (ANS) cited an August 27 report from AMSAT Vice President-Operations Drew Glasbrenner, KO4MA, saying that a digital mobile radio (DMR) signal has been interfering with the AO-92 (Fox-1D) satellite's 435.35 MHz uplink frequency. Glasbrenner said hotspots, repeaters, terrestrial simplex, and "anything not satellite" should never transmit in the segments 145.8 - 146.0 MHz or 435 - 438 MHz by international band plan. Well-known satellite enthusiast Patrick Stoddard, WD9EWK/VA7EWK, told ARRL that one DMR hotspot operating on the AO-92 uplink frequency in the St. Louis area has shifted to another frequency. But, he added, "I think there are still issues, since not all hotspots will report their frequencies and positions to websites such as BrandMeister or via APRS, where they appear on other sites such as http://aprs.fi." "There are others surely operating near satellite uplinks," Stoddard added. "For many, the 435 - 438 MHz satellite subband is a big piece of quiet real estate in a busy part of the 70-centimeter band for weak-signal work, repeater links, amateur TV, and other possible uses." 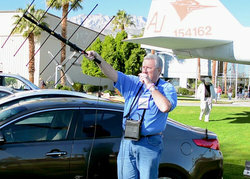 Patrick Stoddard, WD9EWK, does a satellite demonstration at the Palm Springs Hamfest in 2017. Stoddard points out that FCC Part 97 addresses Amateur Radio operation in these segments, although regulations in many other countries may not be as detailed. §97.3(a)(7) defines auxiliary stations as, "an amateur station, other than in a message forwarding system, that is transmitting communications point-to-point within a system of cooperating amateur stations." §97.3(a)(40) defines a repeater as, "an amateur station that simultaneously retransmits the transmission of another amateur station on a different channel or channels." Stoddard said that because most hotspots operate on a discrete frequency, they would not qualify as repeaters, even if they operate like a repeater, per §97.205(b). §97.101(a) stipulates, "In all respects not specifically covered by FCC Rules, each amateur station must be operated in accordance with good engineering and good amateur practice." Stoddard remarked, "Whether the hotspot is interfering with a satellite downlink in a particular area, or it is interfering with the satellite uplink affecting a much larger area, this would not be good amateur practice." In addition to subbands where hotspots are not permitted, Stoddard said, §97.101(b) is also relevant. It states, "Each station licensee and each control operator must cooperate in selecting transmitting channels and in making the most effective use of the Amateur Service frequencies. No frequency will be assigned for the exclusive use of any station." The ARRL/TAPR Digital Communications Conference has named its Banquet and Sunday Seminar speakers. Philip J. Erickson, W1PJE, will keynote the 2018 ARRL/TAPR Digital Communications Conference (DCC) banquet on Saturday, September 15. His topic will be "Towards a 21st Century Understanding of Earth's Upper Atmosphere: The Value of Radio Based Amateur-Scientist Partnerships." Erickson heads MIT's Atmospheric and Geospace Sciences Group at Haystack Observatory. Headlining the Sunday Seminar on September 16 will be Nathaniel A. Frissell, W2NAF, of HamSCI renown, discussing "The Citizen Space Weather Station Project." Frissell is an assistant research professor in the Center for Solar-Terrestrial Research at New Jersey Institute of Technology. The complete Conference schedule and online registration are on the TAPR website. The 37th annual ARRL/TAPR Digital Communications Conference is September 14 - 16 in Albuquerque, New Mexico. North Korea's Voice of Korea Delights Avid Shortwave Listener. London's Daily Mail recently recounted how radio amateur Jordan Heyburn, MI6JVC, of Armagh, Northern Ireland, copied a Voice of Korea (formerly Radio Pyongyang) HF broadcast from the Democratic People's Republic of Korea (DPRK), mailed a report to the station, and, according to the newspaper article, "got the shock of his life" when -- in addition to a QSL card -- he received newspapers and magazines, a book, a personal note on the weather, and an English-language program schedule. His experience is reminiscent of how Soviet state broadcaster Radio Moscow, during the Cold War era, often lavished publications, program scripts, and postcards on SWLs who reported hearing one of its seemingly omnipresent HF broadcasts, although the Voice of Korea's reach doesn't come close. Heyburn relates via his QRZ.com profile that he's an avid SWL and the founder of the Shortwave Radio Listeners Appreciation Group (SWRLAG) on Facebook. Tad Cook, K7RA, Seattle, reports: Since August 28, sunspots have disappeared again. The average daily sunspot number dropped from 17.7 during the prior week to 0. Average daily solar flux declined from 70.6 to 67.8. Geomagnetic indicators quieted, with average daily planetary A index changing from 19.9 to 6.3, and mid-latitude A index dropping from 13.4 to 5.9. Predicted solar flux is 68 on September 6-8; 69 on September 9; 70 on September 10-13; 75 on September 14-17; 72 on September 18-22; 70 on September 23; 68 on September 24 - October 1; 70 on October 2-6; 72 on October 7; 70 on October 8-9; 75 on October 10-14; 72 on October 15-19, and 70 on October 20. Predicted planetary A index is 8, 12, 10, 8, and 5 on September 6-10; 15 on September 11-12; 12 on September 13-14; 10, 15, and 10 on September 15-17; 5 on September 18-21; 12 and 8 on September 22-23; 5 on September 24-29; 8 on September 30; 5 on October 1-3; 8, 12, and 8 on October 4-6; 5, 18, and 15 on October 7-9; 12 on October 10-11; 10, 15, and 10 on October 12-14; 5 on October 15-18, and 12 and 8 on October 19-20. When should sunspots return? In recent periods such as this, when the sun has been blank for days or weeks, I've referenced predicted solar flux values and assumed that relatively higher numbers may indicate when we may see the return of sunspots. But this has often led to disappointment. So looking at the latest forecast, it would seem that September 14-17 and October 10-14 are more likely times to see sunspots again. In each case, when the expected sunspots did not appear, the solar flux forecast changed in advance of the predicted enhanced period. Sunspot numbers for August 30 - September 5 were 0, 0, 0, 0, 0, 0, and 0, with a mean of 0. The 10.7-centimeter flux was 68.3, 67.5, 68.3, 67.7, 68.1, 67.5, and 67.5, with a mean of 67.8. Estimated planetary A indices were 4, 5, 5, 5, 5, 9, and 11, with a mean of 6.3. Estimated mid-latitude A indices were 5, 4, 5, 5, 4, 9, and 9, with a mean of 5.9.